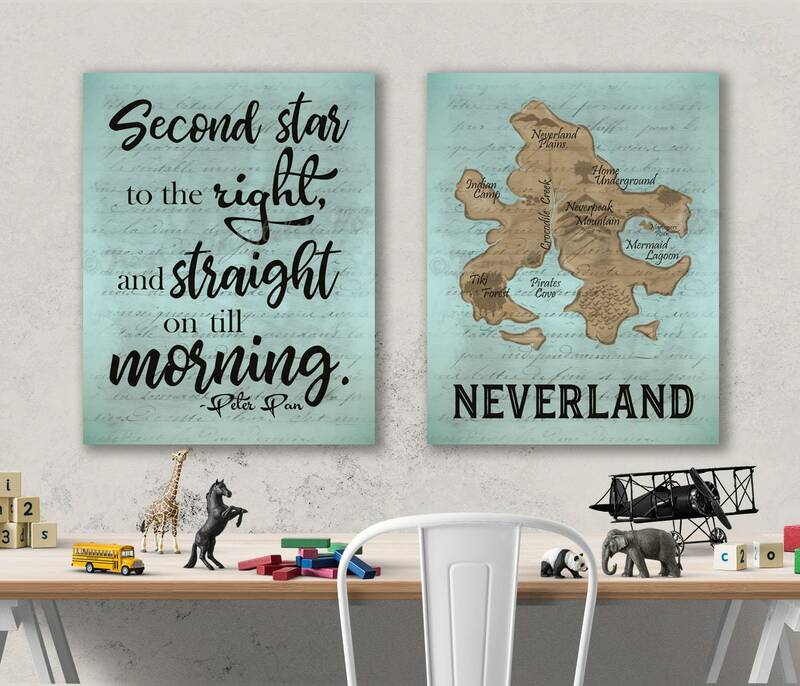 This Neverland canvas set is perfect for any child's bedroom or playroom! Peter Pan is one of our favorite movies from our childhood, and this set was designed to pay tribute to it. This set features the quote "Second star to the right and straight on til morning" which is what Peter Pan says is the way to fly to Neverland. The second print is a map of Neverland with the places mentioned in the movie and book. The background of this set has a vintage scroll look.